Windows 10 to be the fastest growing Windows version ever and could be in 50 percent of all enterprises by January 2017. Microsoft's latest OS will continue to rise to become the most used Windows version ever according to market analysts from Gartner. This includes surpassing the current champions: Windows XP and Windows 7. As much as 50 percent of enterprise businesses are also expected to adopt the OS by early 2017. Key factors to the relatively rapid adoption rate include free migration and good program compatibility with Windows 10. 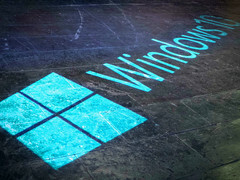 Official support for Windows 7 is expected to cease by January 2020 and the increasing demand for tablets and 2-in-1s will mean more native Windows 10 devices at home and in the office. As a result, many companies are reportedly planning to move to Windows 10 in 2016. By 2019, the majority of companies are expected to be running in the well-received Microsoft OS. Other business-related forecasts from Gartner include more hardware and reliance on applications. Adoption rate for touchscreen notebooks may grow by up to 30 percent in 2018 and analysts see businesses investing more money in multi-monitor solutions in the near future.